Mom's Guide to Clean Carpets in Three Easy Steps. I Arrive on Time - Free Estimates. "FREE CHOCOLATE just for you." Carpet Care is a local-leading provider of upholstery and carpet cleaning in Fairfield, CT.
Want to know more about Carpet Care? Please explore our Web site. If you have any questions please feel free to call. I am more than happy to help. Better yet, call now and make an appointment today. We look forward to serving you! I am committed to your guaranteed unconditional satisfaction. Accidental spot situation's happen, I am the carpet stain removal expert. My green cleaning program is available to all and especially to those that are hypo-allergenic. Individuals who find us on the web are entitled to complimentary chocolate. Not all cleaning is the same, I offer advanced carpet steam cleaning. Emergency situation? Perhaps maybe a wet basement. Same day service is available. Green Cleaning At No Additional Charge. 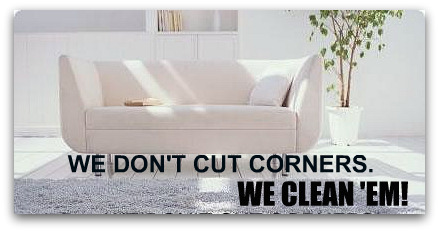 Carpet Care Inc. is a full service carpet and upholstery cleaning company in Fairfield, CT., since 1984. We use environmental cleaning detergents when it comes to your upholstery or carpeting cleaning needs. I offer free estimates over the phone. Please let us know the material we are cleaning along with the dimensions of furniture. I offer first class quality at affordable prices in a caring unhurried process. I offer free estimates for residential as well as commercial clients with the additional option to clean at that time. Cleaning services are scheduled on a one-at-a-time, and on time basis. When we say we will arrive at a specific time, we mean it! I strive to run on time. If for any reason I maybe late I will call and notify you. Normal appts., 8:30am, 10:30am, 1:00pm and 3:00pm. We also offer evening and weekend appointments.